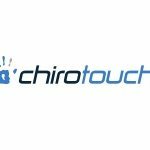 August 1, 2012 — ChiroTouch, a leader in chiropractic software, was recently ranked in the top 20 of San Diego County’s fastest-growing companies by the San Diego Business Journal. To earn a spot on the list of San Diego County’s 100 fastest growing companies, a company must achieve substantial revenue growth, year over year, for the previous three years. ChiroTouch first cracked the top 100 in 2010, making the list at position 24, achieving position 28 in 2011, and breaking into the top 20 this year at number 18.